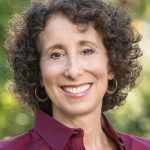 Sharon Saline, Psy.D., clinical psychologist and author of What Your ADHD Child Wishes You Knew: Working Together to Empower Kids for Success in School and Life, specializes in working with kids, young adults and families living with ADHD, learning disabilities and mental health issues. 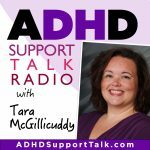 Her unique perspective - as a sibling in an ADHD home, combined with decades of experience as a clinical psychologist and educator/clinician consultant - assists her in guiding families and adults towards effective communication and closer connections. She lectures and facilitates workshops internationally on topics such as understanding ADHD, executive functioning, different kinds of learners and the teen brain. Is there a way to get a transcript of this podcast episode, please? Yes, the Youtube page has an option to view the transcript. Go to https://youtu.be/UtGC2ZcZhr0 using a regular computer. Click the 3 small dots on the right side under the video. That will give you the option to open the transcrip.